These fancy folders make organizing fun. I know when I have cute things around me, I use them more often, so brighten up your work space with these fancy folders! They also make great gifts! • craft flowers, brads, Stickles or other embellishments. 1. 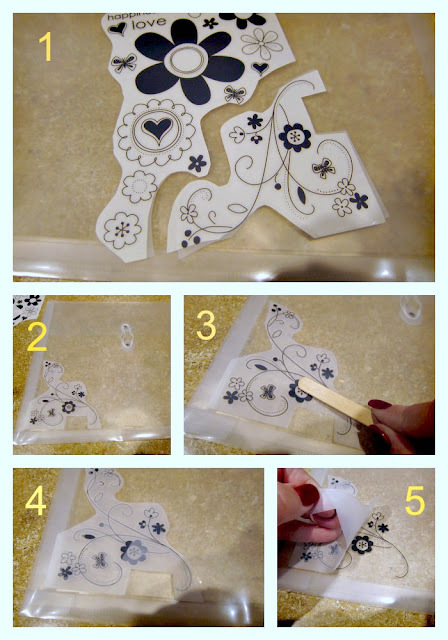 Decide which part of the rub on transfer you want to use and cut it apart from the rest of the page. 2. 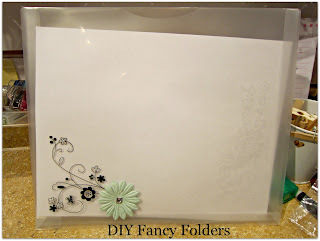 Remove paper backing and place on the folder. 3. Rub transfer with a popsicle stick (usually included with the rub-ons). 4. When the rub-on turns cloudy, you know it has adhered to the folder. 5. Slowly peel away film. 6-7. Decide on placement of flower, stick brad through the flower's center. 8. 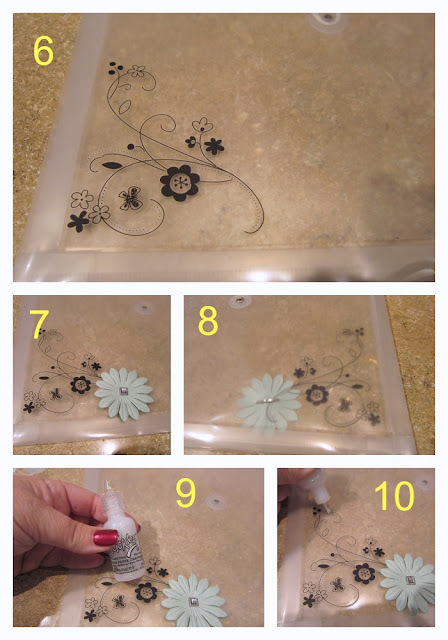 Push the brad through the plastic folder and open the prongs to secure it to the folder. 9. Optional step, use Stickles glitter glue to add a touch of sparkle. I've made many of these folders and they stand up to lots of everyday use. 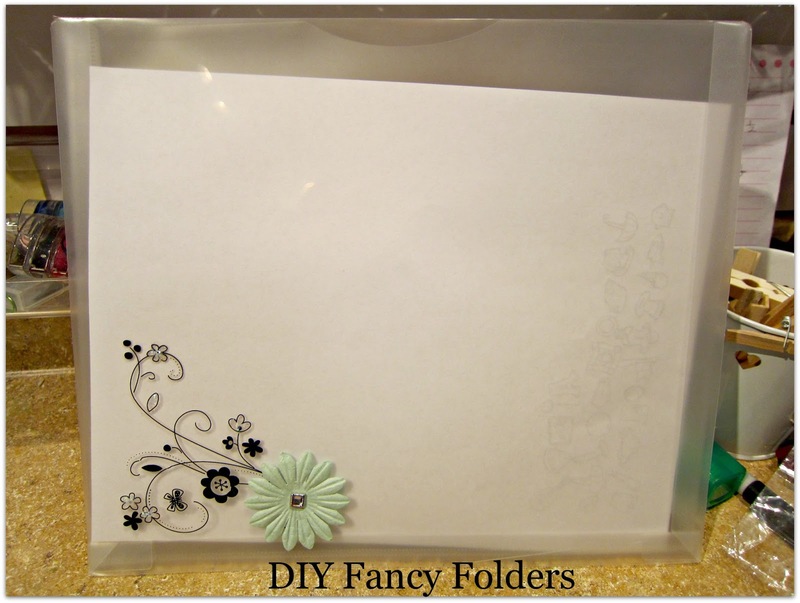 Have fun making your folders a little bit fun and fancy!